Must have a lot on my mind, three posts in one night. I guess I’ve been missing these memo’s lately, like the one my host mother informed me about–you know the one where “hip hop come out of the prison culture” or that the neighborhood around Howard University is a bad neighborhood. So, per the “New Yorker” cover of Barack Obama dressed in a turban I guess being Muslim has now taken the place of being black. I mean, this picture took everything negative and put it in the picture. I wholly invite everyone to visit The Black Snob and AverageBro (thanks for making me part of AverageNation) to read my comments that essentially say that I couldn’t care less about the satire present in the picture, but I guess it dawned on me that they took everything that’s a negative. This wasn’t simply enlarging the ears, or making the impish grin as they do with George W. Bush, but I guess now, as it’s dawning on me, it’s the fact that all of these things are seen as negatives in the eyes of (white) America. 1. The afro on Michelle Obama. Again, another memo I didn’t get–so having an afro is a negative, lemme keep that in mind. Apparently this country associates wearing natural hair with something that is not normative. Well, even I say that, the norm is that most black women that I encounter, their hair is not natural; there is some sort of straightening agent that’s in the hair. Well, aside from it not being the norm, apparently it’s an outright negative. I guess it conjures up some civil rights image of militant Negroes marching in streets and demanding equal rights under the law. I guess seeing an afro gets certain white folk quaking in their boots. I’d go out on a limb and say that somewhere down in the recesses of most white people’s brains that it does in fact cite some fear in unsuspecting white adults. Let me push it a little farther. When I had an afro in high school, it was cool with the white kids, they wanted to touch it of course, but they had not (yet) been acculturated yet to think of having natural hair as a negative. Clearly the artist of this cartoon sees it as such. 2. The heavily armored gun that Michelle is wearing. Oh, so now she’s definitely channeling her inner Angela Davis = Angry Black Woman. 3. 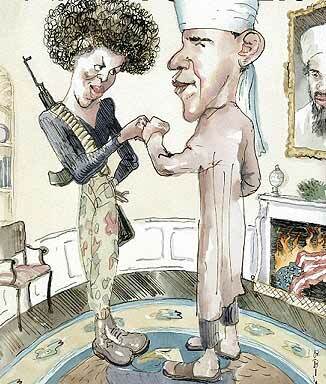 The garb that Barack is wearing is associated with the Muslim faith. So, if you’re not a WASP (White Anglo Saxon Protestant) then you’re on the outside: just ask the members of Trinity United Church of Christ. The Bush Administration has done a “heckuva job” with associating the Muslim faith with that of terrorism. I might as well go ahead and add the Clinton administration and the Bush (41) and Reagan and Carter, Ford, Nixon, Kennedy, Eisenhower and back to Truman administrations. Let’s remember that the U.S. was quite in favor of an Israeli state, against that of the Islamic prescence that was already there. Islamic nations declared war on the new state of Israel in 1948 almost as soon as Israel was recognized as a Republic by the U.N.
And seeing as how the collective American psyche has severe short term memory and outright amnesia when it comes to events that happened more than a month ago, let me remind the readers that in the Clinton and Bush administrations, they were quite effective in letting media spin the horrific events of suicide bombers that I personally remember happening with startling frequency around 1997 and 1998. It was around this time that the American public became aware of Al-Qaeda and jihad and the words “militant” and “Islamic” began to get linked together. 4. Clearly they have a picture of Osama (or is it Obama) hanging over the fireplace. Every liberal in this country is quite aware that this cowboy of a fool who is our current president got on national television saying that we, the American military, we’re going to “smoke him out.” This one, I kind of chalk up to randomness, I don’t really see any deep and dark subliminal message other than trying to make the Muslim faith a negative. I said this from jump as a teenager and I first heard the name Osama Bin Laden, I don’t speak Arabic and I don’t know anyone who does–why, oh why, are we trusting media with proper deciphering of the Al-Jazeera news stories? I mean, we saw Bin Laden walking around with an assault rifle, okay, that’s part of the culture, much like it is in other countries of civil unrest, but who’s to necessarily say that the one we know as Bin Laden is this same guy who’s been associated with all of these terrorist plots. 5. And we see this country still has a problem with burning the flag. 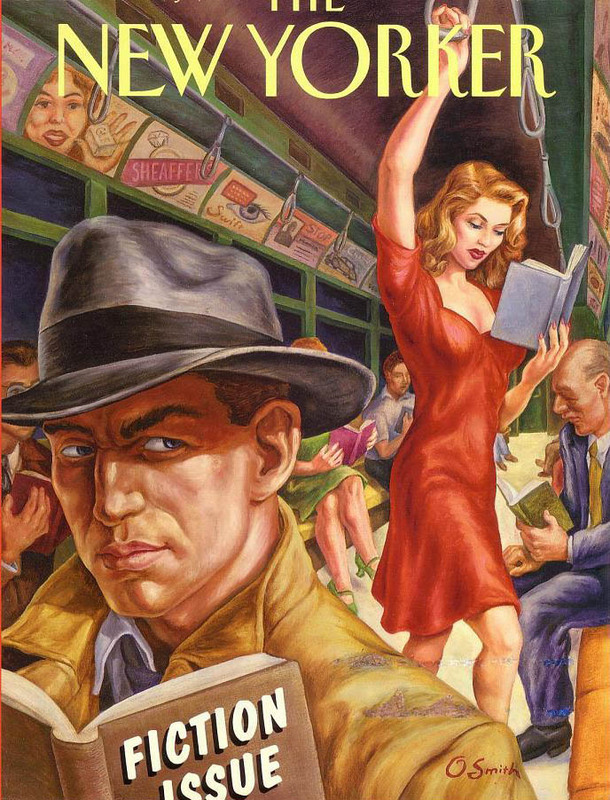 Below I have some pictures of other “New Yorker” covers and I’d love to see the comparisons between the current cover that’s warranted this post. So, is this a bad cartoon because it is oversexualizing the female and placing the man in the position of sexual aggressor? Black man and white woman in the bed--need I say more? Hmmm...should blacks be concerned because the black guy in the front looks too menacing? I will concede however that this cover refrains from the graphic stereotypes and flashpoint issues that are seen in the current New Yorker cover with Michelle and Barack. 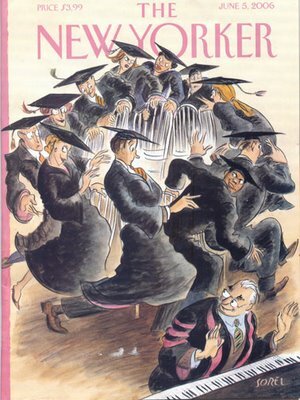 I’d love to hear your comments on this, and also your comments on these other covers of the New Yorker and just how does this current cover measure up with other covers over time. Thanks for calling attention to this! 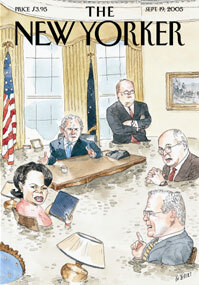 Your blog is the only one I have seen that has had a comparison of other covers of this publication. Even though this publication has been tasteless in the past, does not mean that they can up the ante. For those who think it’s no big deal…I ask you this…if this publication wants to do a feature on sexism…it’s okay to show Michelle Obama squatting on all fours with a dog chain around her neck? What more does it take before we start FLOODING these publications with complaints? If we DO NOT want these actions to continue then WE MUST take action to stop it. One thing black people have already learned over time… DOING NOTHING changes nothing. Further, as Michelle Obama is being compared to Jackie O (complete with bob and curls) consider the impact of seeing her characterized with an Angela Davis fro. Well, it was interesting because her fro was something that most black people took issue with and most white commenters keenly glossed over, which I think was bad journalism at its best.